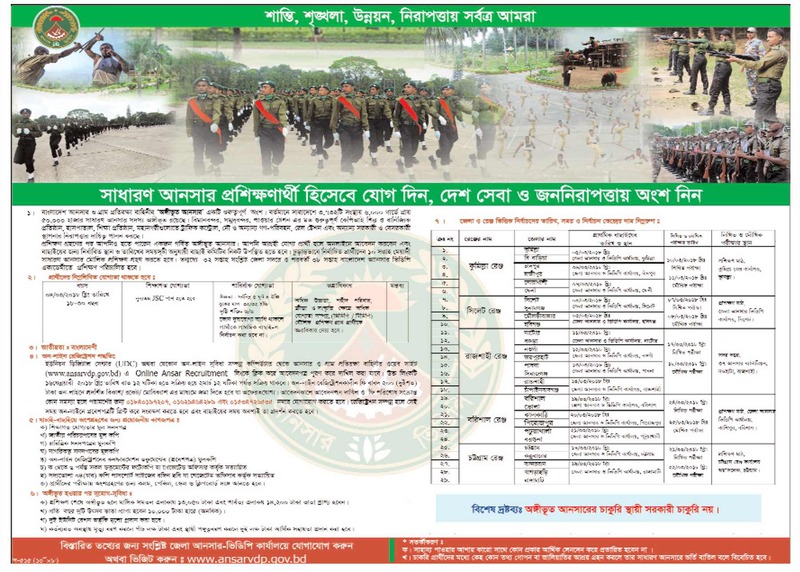 Bangladesh Ansar Battalion Job Circular 2018 has been published today 16th Feb 2018 at the official website of http://ansarvdp.gov.bd/. The application starts for the new ansar and VDP starts on August and the application will be available up to 7th February 2018. Bangladesh Ansar Battalion Job Circular 2018 www.ansarvdp.gov.bd has announced for the many ansar and VDP posts and the applicants don’t need to be experienced about three years or more. There is a lot of different categories available. To see the full circular have a look the official from here we have given below. Deadline: 16th Feb-2nd March 2018.